●Usability from any directions with small type. ●2.54 mm pitch or half pitch suitable for any mounting location. 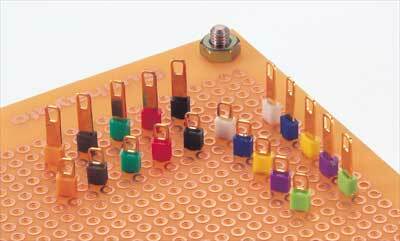 ●Allows circuit grouping using 10 diff erent colors. ●High position types available to allow for easy hooking onto with a probe.